Quick announcement, before I start. First, for those of my readers who shop at Amazon, Vintage Novels now has an Amazon store full of highly recommended books. 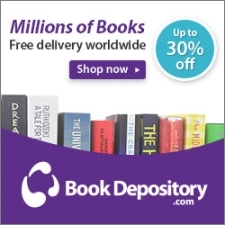 (Or, if you don't shop at Amazon, do you know about The Book Depository? This is where I buy most of my books. Three words: free worldwide shipping). Second, I spent a fun afternoon recently putting together a Jane Austen personality quiz! It's...a little unique. Let's just say it showcases Austen's talent as a social theologian. OK. On to the review. 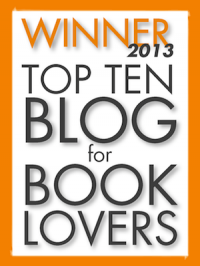 When it comes to books, unlike chocolate, I measure my enjoyment. Chocolate is a renewable resource, but great authors are not. Since being introduced to Anthony Trollope by a friend (artist and aurora chaser Margaret Sonnemann), I have been reading him at the slow, comfortable rate of one per year. It should take me a while to run out, which is a comforting thought. Right now I'm working through the Chronicles of Barset. Framley Parsonage is the fourth in this series; the first three are The Warden, Barchester Towers, and Doctor Thorne. This one was amazing. Trollope is always immensely enjoyable and often very edifying. Framley Parsonage is huge helpings of both. Framley Parsonage is this kind of book. Our hero is Mark Robarts, a relatively young clergyman--still in his twenties--whose kind patroness, Lady Lufton, has gifted him a wealthy living as vicar in her parish. Mark is good friends with young Lord Lufton, who introduces him to Mr Sowerby, a neighbouring MP and spendthrift. Mark is flattered by Mr Sowerby's attention and dazzled by the prospect of being introduced to his powerful friends (including the Duke of Omnium--or "everything"). Mark knows that Lady Lufton disapproves of Mr Sowerby's politics and morals, but ignores the warnings of his conscience and cultivates the friendship anyway--with disastrous results. Meanwhile, Mark's father dies and his younger sister Lucy Robarts comes to live at the parsonage. She and Lord Lufton immediately make friends--which alarms Lady Lufton, who has already picked out the statuesque and silent Griselda Grantly to be her daughter-in-law. Other plot threads, from earlier in the series, weave in as well: Mrs Grantly's war with Mrs Proudie, the awful wife of the Barchester bishop, heats up again, while the outspoken and fabulously wealthy spinster Miss Dunstable has a few close brushes with matrimony. Like most other Trollope books, this one was thoroughly enjoyable and often laugh-out-loud funny. Trollope's sense of humour is satirical, but a little freer than Jane Austen's. Nobody is safe from his wit, and he pokes fun at everyone. He also criticises everyone; sometimes seriously, more often gently mocking them. This is because of his characters. All of them have faults--all of them, even, nay especially, the most righteous ones. This is a little strange: most books, especially the kind we think of as edifying, include at least some aspirational characters. Characters who the flawed protagonist looks up to and tries to imitate. Trollope, however, insists on giving all his characters deep faults. And you know, I think he's right. One wouldn't want every author in the world to write like Anthony Trollope. But we need at least one of him, to remind us powerfully of the fallenness even of the best, kindest, wisest people. This was something that struck me from the very first Trollope book I read--his ability to make you see people with all their flaws, and love them anyway. And, as I'll show in a bit, Trollope is also capable of deep seriousness and reverence when it matters. I know what you are going to say, and I admit it all. He is no hero. There is nothing on earth wonderful about him. I never heard him say a single word of wisdom, or utter a thought that was akin to poetry. He devotes all his energies to riding after a fox or killing poor birds, and I never heard of his doing a single great action in my life. As the book eventually makes clear, Lord Lufton is not quite such a poor fellow as Lucy (angry with herself, and trying to belittle the matter) makes out, but Lucy's assessment is not really that far off the truth. He is no hero, in the sense in which Lucy uses it; he is an ordinary fellow, with a little more moral character than his friend Mark, capable of both repentance and forgiveness, and quite good enough for Lucy. 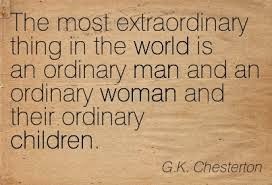 From another point of view, of course, that ordinary kind of man is a hero. But not in the sentimental Victorian sense. A man who, like Trollope, could grow up at that time and write a romance subplot (to say nothing of everything else in the book) with such clear, unsentimental judgement, is a man to be greatly admired. So in Framley Parsonage, with these two virtues of painting the fallenness of even very good people, and of keeping one foot firmly on the ground of objective realism in every circumstance, Anthony Trollope spins a quiet story of sin and temptation in ordinary life. And you will be drawn in, if you are drawn in, not by desire for gain or ease, but simply because at that moment, when the cup was so near your lips, you cannot bear to be thrust back again into the cold outer world. It would be so terrible to see the other man’s face—that genial, confidential, delightfully sophisticated face—turn suddenly cold and contemptuous, to know that you had been tried for the Inner Ring and rejected. And then, if you are drawn in, next week it will be something a little further from the rules, and next year something further still, but all in the jolliest, friendliest spirit. It may end in a crash, a scandal, and penal servitude; it may end in millions, a peerage and giving the prizes at your old school. But you will be a scoundrel. 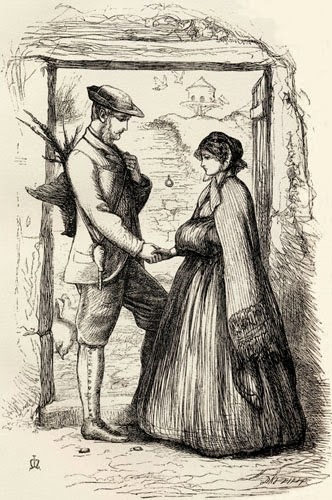 The illustrations are by Millais, no less. It is no doubt very wrong to long after a naughty thing. But nevertheless we all do so. One may say that hankering after naughty things is the very essence of the evil into which we have been precipitated by Adam's fall. When we confess that we are all sinners, we confess that we all long after naughty things. And ambition is a great vice—as Mark Antony told us a long time ago—a great vice, no doubt, if the ambition of the man be with reference to his own advancement, and not to the advancement of others. But then, how many of us are there who are not ambitious in this vicious manner? Later, having come to his senses, Mark reflects: "Why had he thus filed his mind and made himself a disgrace to his cloth? In order that he might befriend such a one as Mr. Sowerby!" "Do not be deceived," Paul says in I Corinthians 15:33, "bad company corrupts good morals." This forms an overarching theme in the book. It is said of Mark that he thought he could touch pitch and not be defiled. But his foil in this is Miss Dunstable--warm-hearted, open, generous, commonsensical Miss Dunstable. We met her in Doctor Thorne--the richest woman in England, jaded by the sheer number of dishonest and gold-digging proposals she'd received. It comes as a bit of a shock to find her, after her frankly heroic turn in the previous book, consorting with Mr Sowerby's snarky sister, gossiping, and gradually being tempted towards similar shallow irreverence. There's an odd chapter in which Miss Dunstable gives a party, and spends the whole time on tenterhooks waiting for her two star guests to arrive. One of them walks through her rooms and out again, and the other stands outside with her for a brief chat before leaving. So much importance is given to these two's coming that we expect it to become a plot point. But nothing comes of it--except, a little while later, the realisation that Miss Dunstable, too, is in the grip of selfish ambition and social climbing. This is oddly powerful. We almost expect a twenty-six-year-old clergyman of not very strong character to be sucked in by such temptation (although, as Trollope takes care to tell us, some twenty-six-year-olds do indeed have the character to be a vicar, or even a bishop). But for the worldly-wise Miss Dunstable to fall for the same trick is additionally sobering. One more character should be mentioned before we leave this thread of the plot. Mr Crawley, the poor, dour and proud vicar of Hogglestock is a fascinating character introduced in this book. He is a curious blend of prickly unpleasantness with real, sincere faith and graciousness. The chapter where he goes to confront Mark about his recent lifestyle decisions is incredibly touching, the more so as we don't expect it to be. That very sweet chapter had a lot of work to do as I continually felt a need to knock some sense into his head, or at least to tell off the author for creating such a flawed vicar. I also didn't appreciate the way the Crawley's neighbours tried to give them charity, behind Mr Crawley's back usually, and against his wishes--not that the man didn't need correcting, but that I suppose the church authorities were the right people to do it. High praise, despite the man's faults, and I do hope we see Mr Crawley improving in future Barset novels. The other main plot thread deals with Lucy Robarts, Mark's sister, and her romance with Lord Lufton, Mark's friend. At first this felt like a re-tread of the love story in Doctor Thorne. However, I thought it was handled much better. Lucy is a fantastic character. Anthony Trollope never wrote sentimental, drooping Victorian females--who can forget Barchester Towers, and the most satisfying slap in English literature? Mary Thorne was a fun character as well, but Lucy seems almost the most gumptious of them all. In Doctor Thorne the young man's aristocratic mother also opposed the match; the odious Lady Arabella was fun to hate but in this book the opposition is thrown up by Lady Lufton, a genuinely sweet and upright woman, which allows for a much more subtle, less melodramatic conflict. In this respect Framley Parsonage may imitate, but it also betters, Doctor Thorne. I enjoyed the themes of humbled pride in this plot, especially as it tied in with the plot of the marriage of Griselda Grantly, a vapid blonde whose main interest in life is snubbing "those Proudie girls". Mrs Grantly and Mrs Proudie are back at daggers drawn in this book, ripping shreds off each other (Trollope calls it "that sort of hatred one Christian lady allows herself to feel towards another"--ouch). All of them are clearly overdue for some humbling, especially Mrs Proudie, who must be seen to be believed. With this in mind, I was sorry that Trollope did not go so far as to humble Lucy a little as well. She was a wonderful character, but she could have used it. Another wonderful character is Fanny Robarts, Mark's wife, who stands by him through thick and thin, tries to influence him against the friends that are leading him astray, but otherwise defends him: "She knew that it behoved her to fight for her husband when he was thus attacked." Even Lady Lufton, one of those excellent women who loves to be in control of things, shows a great deal of wisdom and reticence in dealing with her son. Meanwhile Mrs Proudie has her husband firmly under the thumb, and interrupts poor Harold Smith's public lecture to correct him on a thing or two, making herself ridiculous to all and sundry. I always find Trollope's books particularly refreshing and un-feminist. Yet here is another of the things that makes Trollope surprisingly un-Victorian (although most of our ideas of the Victorians are exaggerations). His idea of the perfect woman is not a door-mat. Fanny is no Mrs Proudie, but she is just as capable of speaking up--and much better at discerning when she should. Lady Lufton objects to Lucy because she has not the imposing presence necessary to act as the next Lady Lufton, but begins to change her mind when she sees (and even experiences) some of Lucy's chilled steel backbone: "A girl that could thus speak up and explain her own position now, would be able to speak up and explain her own, and perhaps some other positions at any future time." It's rather interesting that being articulate and unafraid is on Lady Lufton's list of essential daughter-in-law characteristics, and it's great that Trollope used his books to promote such a virtue. Framley Parsonage was great! It's just filled with thought-provoking little subplots and comments. 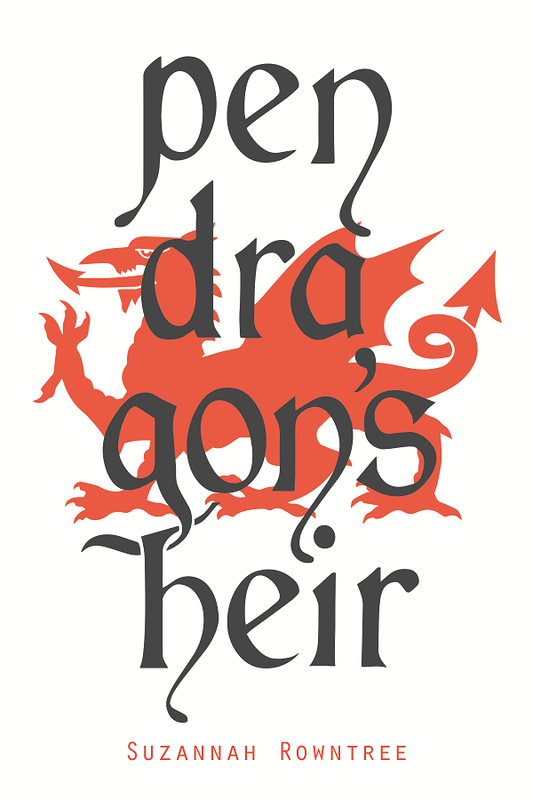 There's a great deal of wisdom, a great deal of humour, and a thoroughly absorbing plot. Of course, as you'll have spotted from the rest of this review, there are times when I disagree with Trollope. I suppose that happens when an opinionated reviewer meets an opinionated author. I recently described Jane Austen's Mansfield Park as "almost perfect". There's too much I disagree with in Trollope's books to merit the same praise. But was this really because Austen was wiser than Trollope, or was it because she made fewer comments and aired fewer opinions in her work? Whatever the reason, it would be too awful if I was unable to recommend these wonderful, wise, witty books because of it. Ladies and gentlemen, run out and secure copies of Framley Parsonage and all the other books in the series--they're all wonderful. Find Framley Parsonage on Amazon, the Book Depository, Project Gutenberg, or Librivox. Now gonna go check The Book Depository, haha - thanks for the tip! You are most welcome, Olga! So glad you enjoyed the review. If Trollope gives you half the fun he's given me, you're in for a good time. I think you show amazing restraint in restricting your Trollope to about one a year. I'll be interested to read your review of The Small House at Allington, but it seems as though I might have to wait awhile. For me, that one wasn't quite as satisfying. Well written, of course. The comparison you made between Mark Studdock and Mark Robarts is very good. I don't think I would have thought of that, but I do see it. ...Yes, I'm sorry about that. I don't want to face the thought that I've run out of Trollope novels for a long, long time! "On my journey back to Ireland, in the railway carriage, I wrote the first few pages of that story. I had got into my head an idea of what I meant to write,—a morsel of the biography of an English clergyman who should not be a bad man, but one led into temptation by his own youth and by the unclerical accidents of the life of those around him. The love of his sister for the young lord was an adjunct necessary, because there must be love in a novel. And then by placing Framley Parsonage near Barchester, I was able to fall back upon my old friends Mrs. Proudie and the archdeacon. Out of these slight elements I fabricated a hodge-podge in which the real plot consisted at last simply of a girl refusing to marry the man she loved till the man's friends agreed to accept her lovingly. Nothing could be less efficient or artistic. But the characters were so well handled, that the work from the first to the last was popular,—and was received as it went on with still increasing favour by both editor and proprietor of the magazine. The story was thoroughly English. There was a little fox-hunting and a little tuft-hunting, some Christian virtue and some Christian cant. There was no heroism and no villainy. There was much Church, but more love-making. And it was downright honest love,—in which there was no pretence on the part of the lady that she was too ethereal to be fond of a man, no half-and-half inclination on the part of the man to pay a certain price and no more for a pretty toy. Each of them longed for the other, and they were not ashamed to say so. 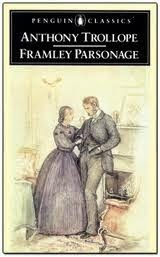 Consequently they in England who were living, or had lived, the same sort of life, liked Framley Parsonage. I think myself that Lucy Robarts is perhaps the most natural English girl that I ever drew,—the most natural, at any rate, of those who have been good girls. She was not as dear to me as Kate Woodward in The Three Clerks, but I think she is more like real human life. Indeed I doubt whether such a character could be made more lifelike than Lucy Robarts." And yes, Miss Dunstable's gradual descent and subsequent repentance were sobering! 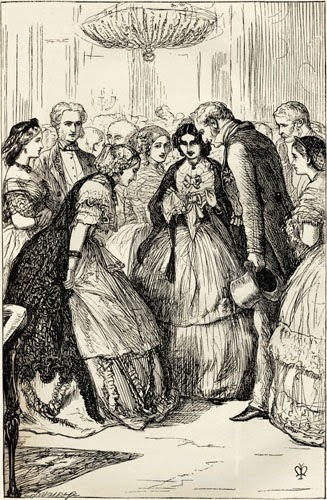 You know, I think I found Lucy almost too perfect to relate to, and I wished Trollope would have given her some more visible flaws like he gives everyone else. I've realised that I tend to relate more to deeply flawed female characters (and that I tend to write my female characters as more flawed than my male characters as well). Till recently, I've thought it was a drawback in Trollope that he didn't treat his female characters just the same as he did his male characters. But recently I realised why this is a good thing. Stay tuned for my review of the LAST CHRONICLE ;). OH YES, I loved those bits!! !